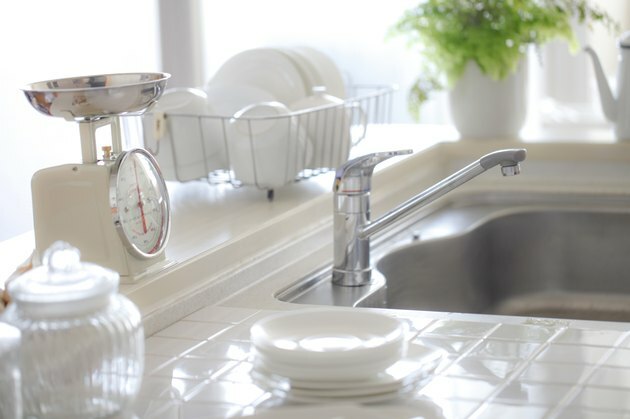 A filter can help alleviate any concerns you may have about the health and safety of your tap water, reports the Natural Resources Defense Council. It can also remove particulate matter and chemicals that may affect your water's taste. A pitcher with a built-in water filter combines the benefits of filtration with the convenience and portability of a carafe so you always have fresh, filtered water available. Clear2O's water filter was awarded a Best Buy designation from Consumer Reports magazine, which tested 38 different water filtration products by spiking water with dangerous toxins and seeing how well the filters worked. They found its block carbon filter efficiently removed metals like lead. The pitcher holds 1.75 liters and is certified by the NSF International, a U.S.-based organization that certifies the performance of water filtration devices. Pur's carafe was named a Best Value product by National Geographic magazine's Green Guide. The magazine's editors liked the pitcher's budget-friendly price and its ability to remove 30 common water contaminants like chlorine, mercury and microbial cysts. Its two-stage filter doesn't take out fluoride from your water, which may be beneficial for your dental health, and the pitcher holds approximately 1.65 liters. Brita's Smart Pitcher has an electric meter that alerts you when it's time to replace the filter so you know you always have filtered, clean water. Consumer Reports magazine gave it top marks and liked that it was less likely than others to get clogged. The filter holds approximately 2.36 liters and removes sediment, chlorine, lead and other contaminants with an ion-exchange resin and carbon filter. Shaklee's pitcher was one of the cheapest water filter carafes tested by Consumer Reports magazine and earned top marks for removing bad tastes. It uses a proprietary filtration system composed of coconut shell carbon and ion-exchange beads to trap and remove contaminants like lead. The carafe holds approximately 1.6 liters of water.